This weekend Nathan and I went up to San Francisco. It is something we have talked about doing for a while, and Nathan finally decided to surprise me with a trip for my birthday. We left early Friday morning and drove less than 5 hours up the 5 Highway. Nathan and I were both pleased with the drive because we had always thought it took 8 hours, but that's only if you take the scenic 101. Nathan and I stayed at the classy Parc 55 Hotel. Nathan has kept in touch with many of the families of the kids he used to coach in baseball. One family, the Gauthiers, dad is the general manager of the hotel and he was kind enough to give us great deal. The hotel was in a prime location right in the heart of downtown. In the collage above, our hotel is the layered looking building in the top left corner. Once we checked in, we freshened up and headed out. First thing, we bought our mini-passport, which allowed us unlimited access on all the transportation systems. The line for the Cable Car was kind of long, but once we boarded we headed down to Fisherman's Warf. The smell of seafood filled the air and I anticipated being able to see the Golden Gate Bridge. There were street vendors everywhere and as were got close to the water I realized I wasn't going to be seeing the bridge because a cloud of fog lingered over the bay. 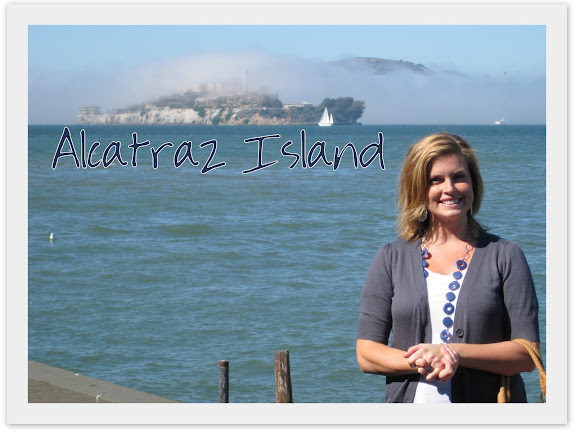 I did see Alcatraz though, and I thought it look kind of surreal. The fog semi engulfed the island creating an eerie affect, which was very appropriate taking into consideration what it is. 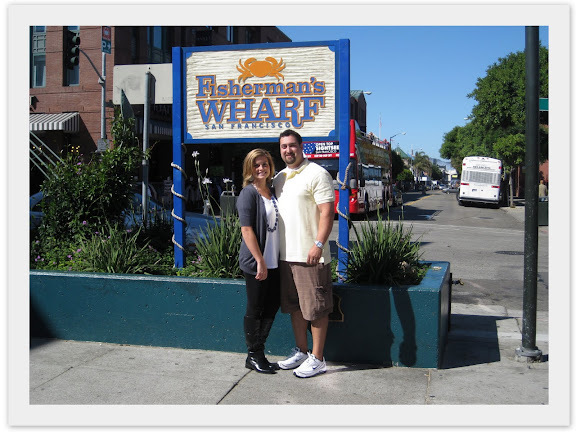 We walked down to the famous Pier 39 where we ate a lunch of fish-n-chips and walked around the pier. We saw a seal or two swimming here and there, but I did not expect the plethora that was yet to come. As we walked around the south end of the pier, we saw people crowded around. They were watching 100s of seals clamor about on little wooden docks. They were loud, stinky and they pushing each other around. They were so funny to watch. I have a video below of them. After relaxing for a little, we decided to make our way back to the hotel to relax and change for dinner. 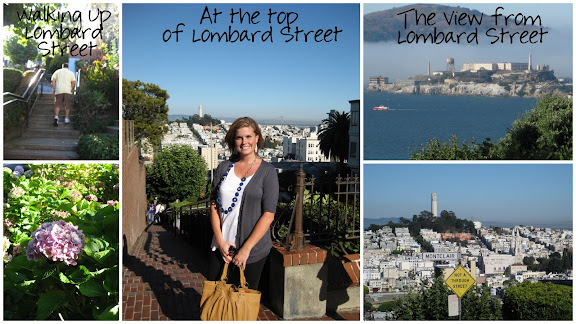 We walked back up to Lombard Street hoping to get picked up as people jumped on, but it passed us by, so we kept hiking up and up, as the streets seemed to get steeper and steeper. We were continuously passed by crowded cable cars, which forced us to walk around the city, which wasn't a bad thing. 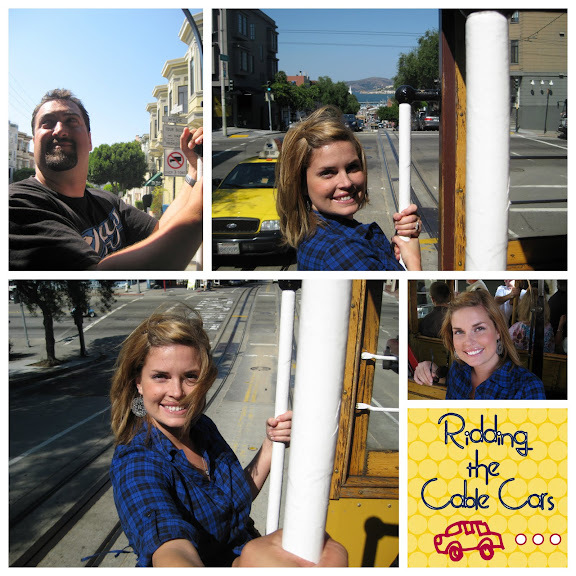 We were able to see some things we would have missed if we were on the cable car. Finally, a really cool cable conductor was kind enough to cram us onto his car and we finally made it back to our hotel. 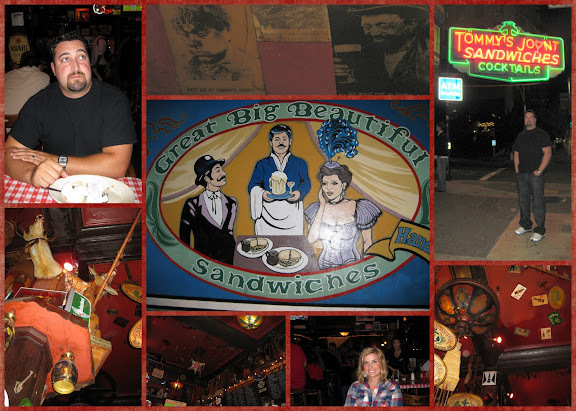 For dinner, we went to the historic Tommy's Joynt. Nathan saw it on one of his shows, "Diner Drive-Ins & Dives," and he wanted to check it out. It had a really unique eclectic interior and yummy food. Tommy's is not for vegetarians. The menu consists of all kinds of meat served in a variety of ways. I got the BBQ Brisket dinner plate, and Nathan got a beef sandwich with au jus. After dinner, we walked around the Fashion District. We sat in Union Square and enjoyed the city at night. Day 2: Saturday was full of more sightseeing. 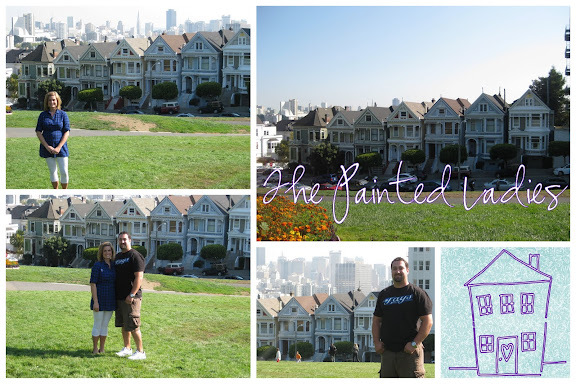 We started out taking the bus to Alamo Square to see The Painted Ladies. They are famous for their pastel color and classic San Francisco Victorian style architecture, as well as being featured on the TV show Full House. The park across the street was nice and full of locals playing with their dogs, exercising and relaxing. Alamo Square is located on a high hill giving a great view of the city. 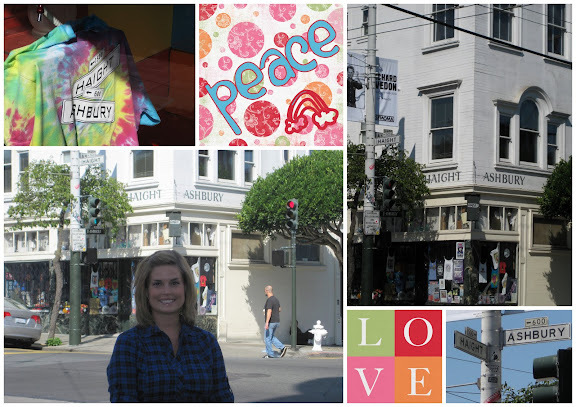 After The Painted Ladies, we walked about 7 block to the famous hippie corner Haight-Ashberry. That part of town was full of interesting shops and record stores and the smell of "herds" filled the air. We then jumped on a bus, and after a few transfers, and thanks to Nathan's awesome navigational skills, we made it all the way up town to the Golden Gate Bridge. It was really important to me that we see it, so I was happy that the fog was gone; in fact, it was beautiful out by the water. 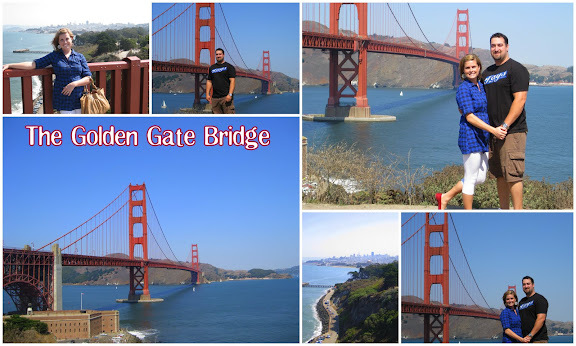 To me, the bridge is the symbol of California and we walked out on the bridge a little ways. The view was really pretty and the bay was full of sailboats. See the video below. 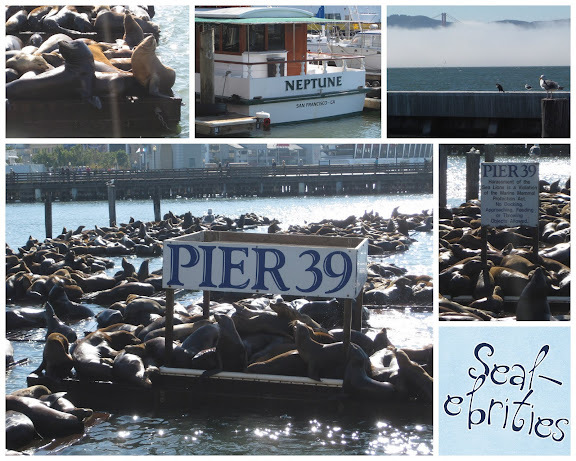 We then went all the way back to Pier 39 for lunch. I had a sourdough bread bowl of yummy clam chowder soup. Later that day, after relaxing at the hotel for a few hours (we were seriously exhausted from all the walking), we went down to AT&T Park where the San Francisco Giants play. Now, being from LA, Nathan is obviously a supporter of the Dodgers, but we decided we would visit all the ball parks in the cities we visit, and Nathan, being a lover of baseball enjoyed seeing the park. 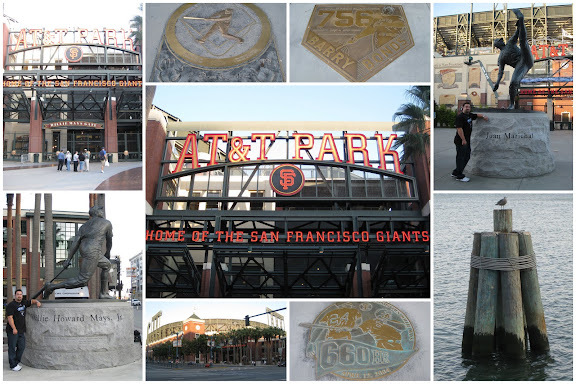 He explained to me the history of the Giants/Dodgers rivalry as we walked around the stadium. Because I was still so stuffed from lunch we decided to do something easy for dinner. We went to the Fashion District and while Nathan got some food from a Korean BBQ, I snacked on grapes and cheese. 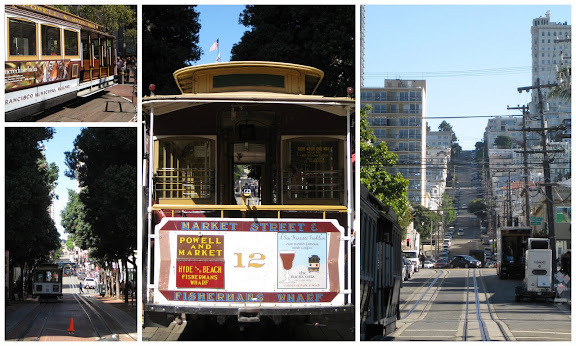 Afterward, we decided to take one more ride to and fro Market Street and Fisherman's Warf on the Cable Car. We ended up back at out hotel to get packed up and ready to head out the next morning. iam impressed how much sight seeing you got in two days! And walking thoughs streets! 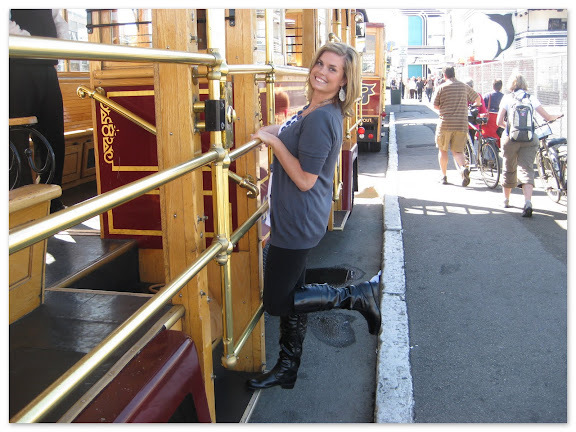 Driving them and on the trolley freaked me out because they were so steep, i couln't imagine walking UP them! Oh, and you look super cute it your outfits. I LOVE San Fran! When we went we stayed in the exact same hotel and loved our experience there. Your pictures are way cute!! What an ideal way to spend the weekend. You guys always do fun stuff on the weekend. 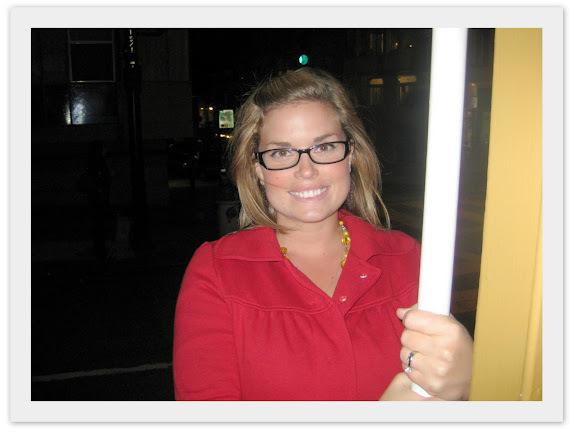 I am always excited to read on your blog of the places you went or ate at. The pictures of the Bridge are beautiful. Looks like you had great weather. Tell Nathan he looks nice also. HAPPY BIRTHDAY!!! Your trip looks amazing! I am so jealous. 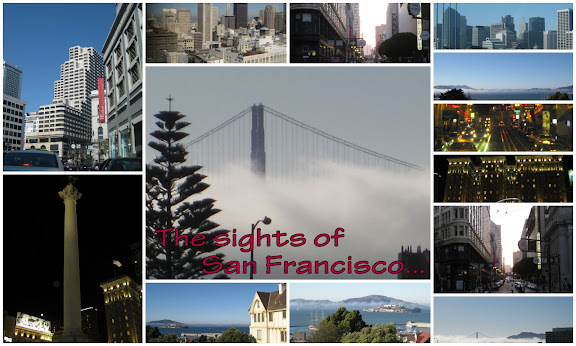 Oddly enough as much as I travel I have never been to San Fran. The whole trip looks like it was a blast and you two look beautiful. Happy Birthday. 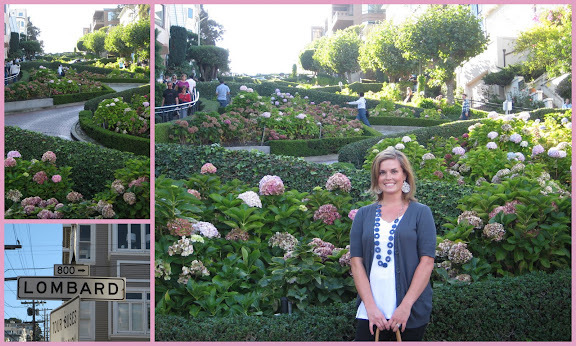 I notice all the people walking up and down Lombard Street. Can you still drive it? Nickell and I want to go back. 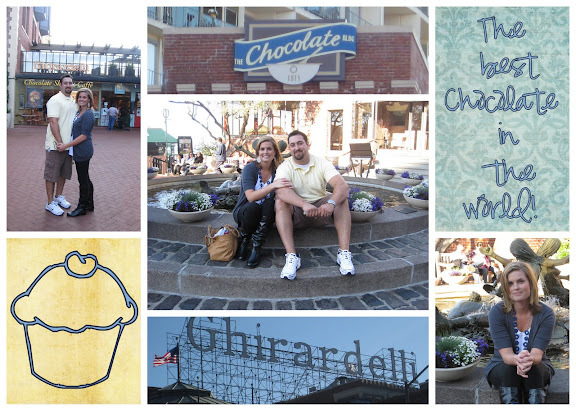 We only got to spend a couple of hours there because of wedding stuff. But it was fun. And Kade loved the seals.